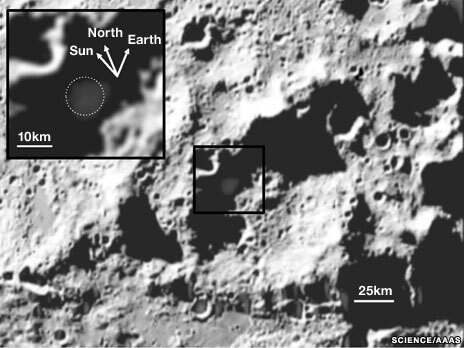 Scientists studied the full results of an experiment that smashed a rocket and a probe into a lunar crater last year. The impacts kicked up large amounts of rock and dust, revealing a suite of fascinating chemical compounds and far more water than anyone had imagined. A Nasa-led team tells Science magazine that about 155kg of water vapour and water-ice were blown out of the crater. The researchers’ analysis suggests the lunar regolith, or soil, at the impact site contains 5.6% by weight of water-ice. “That’s a significant amount of water,” said Anthony Colaprete, from the US space agency’s Ames research centre. 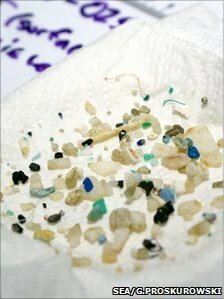 A study has measured the amount of plastic debris found in a region of the Atlantic Ocean over a 22-year period. US researchers, writing in Science, suggest the volume of plastic appeared to have peaked in recent years. One reason could be tighter marine pollution rules that prevent vessels dumping their waste at sea. The team said monitoring the free-floating plastic also provided an insight into the behaviour of ocean surface currents. They found plastic, most pieces measuring no more than a few millimetres, in more than 60% of 6,136 samples collected by dragging fine-meshed nets along the ocean’s surface. “Plastic marine pollution is a significant environmental concern, yet a quantitative description of the scope of this problem is the open ocean is lacking,” they wrote.